Yoga is the art of mental discipline through which the fluctuations of the mind become still and an awareness of higher consciousness develops (The Yoga Sutras of Patanjali – 1.2 yoga-citta-vritti-nirodhah). The word Yoga comes from the Sanskrit root ‘yuj’ meaning to yoke. It refers to the yoking or ‘union of the awareness of our selves as finite beings to the universal infinite consciousness.’ Another working definition of yoga is ‘the harmonization of body, mind, emotions and spirit.’ There are several varieties of yoga that help us to accomplish this goal. Perhaps the most satisfying and most joyous yoga is Bhakti Yoga, the path of devotion. Before we take a more detailed look at Bhakti Yoga, let’s survey some of the other main yogas that can lead us to higher consciousness. Hatha Yoga comes from two roots, ‘Ha’ which means ‘sun’ and ‘tha’ which means ‘moon’. In Hatha yoga there is a harmonization of the energies of the body, the energies of warmth and coolness, of masculine and feminine energies, etc. Through a system of exercises, stretches and poses, and with the right mental attitude, there is a freeing of the tensions of the body, mind and emotions to bring about health and long life to the body, and make it a vital instrument for the mind and soul. The body’s inner currents are harmonized until they are in perfect balance. We become clear minded and develop good concentration. 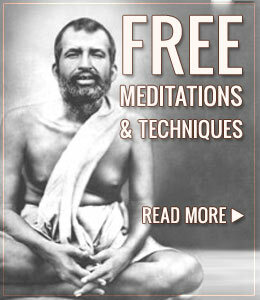 This can help us to become good meditators. In fact, traditionally, this is the goal of Hatha yoga, to enable us to sit for long periods of time, without tension in the body and mind, to allow our meditations to deepen. Karma Yoga means ‘to do.’ It is the path of action. We surrender all our actions, our thoughts, words, and feelings to our higher self, to God. We consider ourselves instruments of God’s will. Raja Yoga means ‘royal,’ or ‘kingly.’ It is the path of meditation. Here we direct our life force towards an object, generally at the Ajna centre. An effort is made to balance the will, the mind and the emotions. Mantra Yoga refers to sacred words, phrases or syllables which are chanted thoughtfully and with growing attention. Laya Yoga uses the chakras, especially the heart chakra. There is an emphasis on expansion, an overcoming of our limiting selfishness and self-centeredness. There is a movement towards love. Tantra Yoga means ‘break free’ and ‘expansion.’ All aspects of self are expanded. The energy of creation is worshipped as Shakti, or Cosmic Mother. There is a transformation and transmutation of our energies into subtle expressions of love for the Divine Mother. Kundalini Yoga focuses on the stimulation of the spiritual force (kundalini) at the base of the spine. It usually involves a combination of raja, hatha, tantra and laya yogas. It is considered a distinct yoga by some. Kriya Yoga means ‘to do’ or to ‘make an effort and transform.’ One form of kriya yoga directs the life force up and down the spine. There are specific guidelines and teachings concerning this process. Another form of kriya yoga involves a daily program of self-discipline for the mind and body, introspection and devotion or surrender to God. Patanjali stresses the importance of this approach in his yoga sutras. 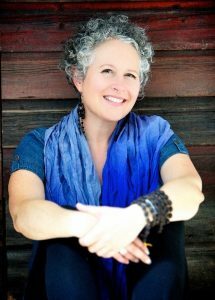 And then there is…Bhakti Yoga. Traditionally in India, there are two ways of experiencing God. God can be experienced in His transcendental, formless aspect. God can also be experienced in His/Her immanent manifest aspect with form (the form of Rama, Siva, Krishna, etc.) Whether the individual worships God in His formless aspect, or worships God through a personal form, the Bhakta (one who practices Bhakti) will approach his or her Divine Beloved with love or devotion. 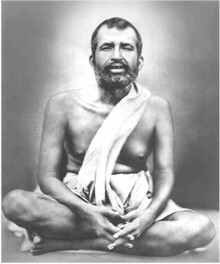 Paramahansa Ramakrishna, one of the greatest Bhaktas of our time, cautions us about becoming ‘sugar;’ he tells us to taste the sugar and to sing and dance in the joy of love. In other words, the goal of the Bhakta is not to dissolve in the transcendental God. The goal is to develop a relationship with God in form, to experience life as an interplay between the devotee and the Divine Beloved in form. There are several types of love that we are familiar with in the realm of normal human experience. There is material love, the love of name and fame, of health, of wealth, etc. There is human love, the love of our friends, parents, children, spouse, lovers, etc. There is the love of the arts and the love of nature. And then there are the supernormal experiences of spiritual love. The lover of God, the Bhakta, accepts everything as God’s Grace. The devotee surrenders completely to God, is always with God and is always joyous. The true devotee approaches God with devotion. A Bhakta is continuously seeking emotional fulfillment and well being through his devotions to God, his Divine Beloved. In the beginning there is a twoness, the ‘I’ and the ‘Thou,’ the devotee and the Divine Beloved. There is a bonding, a progressive merging wherein one’s character is transformed and improved. Even one’s cells in the body become transformed in order to receive even greater degrees of love. The periods of higher consciousness come more frequently, until a permanent relationship is established with one’s Divine Beloved. Exciting, ever-new, ever-refreshing mood relationships are revealed and experienced. We have to prepare ourselves for these mood relationships. The Christian Mystics prayed for Divine Love. When they got it, most of them got sick. Why? Their bodies were not prepared for the high voltage intensity that this Divine Love brings. Our bodies and our minds need to become prepared. One of the best means to prepare the body for this higher and more subtle Divine Love is the regular practice of Hatha Yoga. Now, what are these love-mood relationships that we want to experience? We begin with Awe for the splendor of God. Then we move into the relationships of servant (devotee) to Master, friend of God, son or daughter of God, as if married to God, as a Fiancé to God. There are even higher relationships that can be experienced: Kama Radha – The Transformed Lover – God’s Spiritual Playmate; Prema Radha – The Joyous Lover; Nitya Radha – The Eternal Lover; and, Nitya Lila – The Eternal Dance of Love, (see www.yogaworld.org for detailed descriptions of these relationships).